English Club TV, the worldwide edutainment TV channel for English learning, has announced its partnership with Nigeria’s Strong Technologies Ltd. 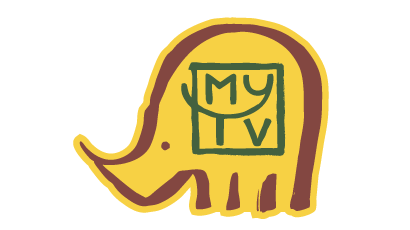 The channel has been available in the basic package of the pay TV service ‘My TV’ since 1 January 2018, giving its viewers the unique opportunity to learn English right in front of their TV screens. English Club TV is a unique educational channel for those who want to learn and improve their English. The English Club TV Channel is available via Astra4A, Measat3A and Hispasat 30W-5 satellites which cover the European, Asian, African, North and South America continents. Every day more than 30 000 000 subscribers of more than 400 operators watch English Club TV in 100 countries around the world. English Club TV content is available through OTT, VOD, DTH, IPTV and mobile platforms. My TV aims to offer affordable satellite delivered pay television services to English-speaking Nigerian households. Accessible pricing and a selection of unique channels are the determining factors in the composition of the My TV channel line-up. My TV is relayed by the Eutelsat 16A satellite (located at 16° East), along with a large number of Free-To-Air (unencrypted) channels. Viewing the service requires a duly activated My TV Smart Card and a compliant MPEG-4, CONAX Paired Digital Satellite Receiver.